When I try out a sunscreen, I am very sensitive to how it smells. I've favored powder sunscreens for daily use because the scents are so subtle. 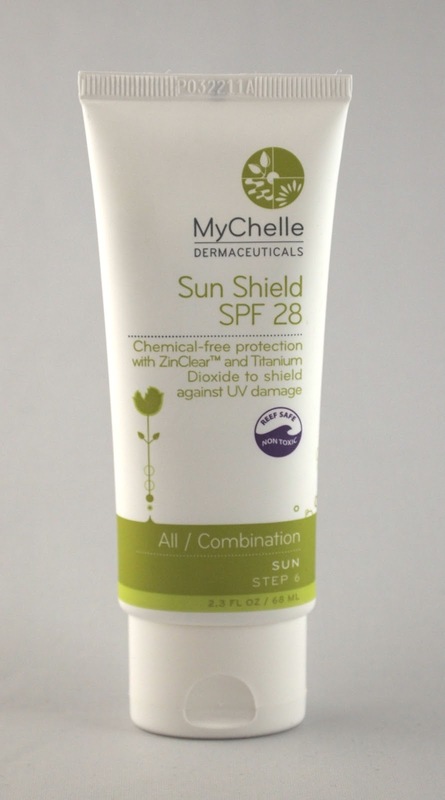 However, MyChelle offers a sunscreen lotion that utilizes the same great ingredients as many powder sunscreens (zinc oxide and titanium dioxide): Sun Shield SPF 28. 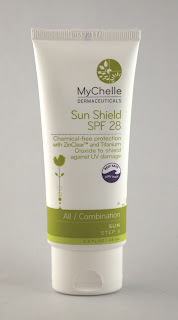 MyChelle's Sun Shield SPF 28 is a great sunscreen that provides sun protection without everyone smelling it. It is a nice all-purpose formula that can be used on anyone 6 months and older, for both face and body. My only suggestion for improvement would be to find a way to make it last for up to two hours of extended exposure in the sun.